Dramatic new leaves in the exotic border on the top terrace at Powis. Pretty sure this is an ornamental banana – looking great in the evening light last Monday. Back from a wonderful holiday touring round friends. Didn’t do much photography, but visited several gardens where May was doing its thing. Intrigued by this rhododendron flower going over in a magnificent dell at Hergest Croft Garden on the Welsh Border. 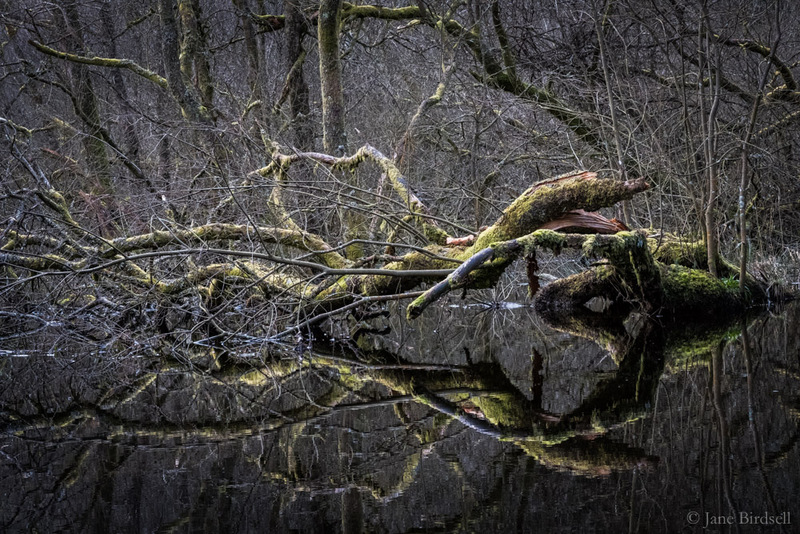 Their azalea garden is also in full flood at the moment: well worth a visit. 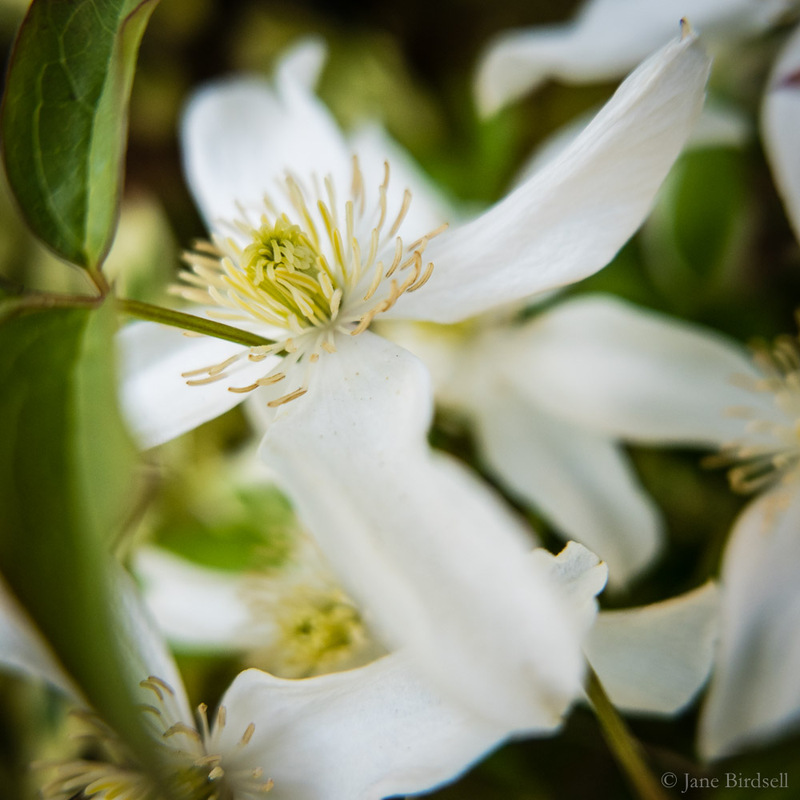 White Clematis montana, looking poetical. Spindle tree fruit taken in late summer; one of a collection of four images I’m printing for the next Marches Independent Photography show at Theatre Severn in June. Hieroglyphs on a birch tree, found on my photography walk along Morda Brook last Saturday. Went with the sunshine to Powis yesterday. 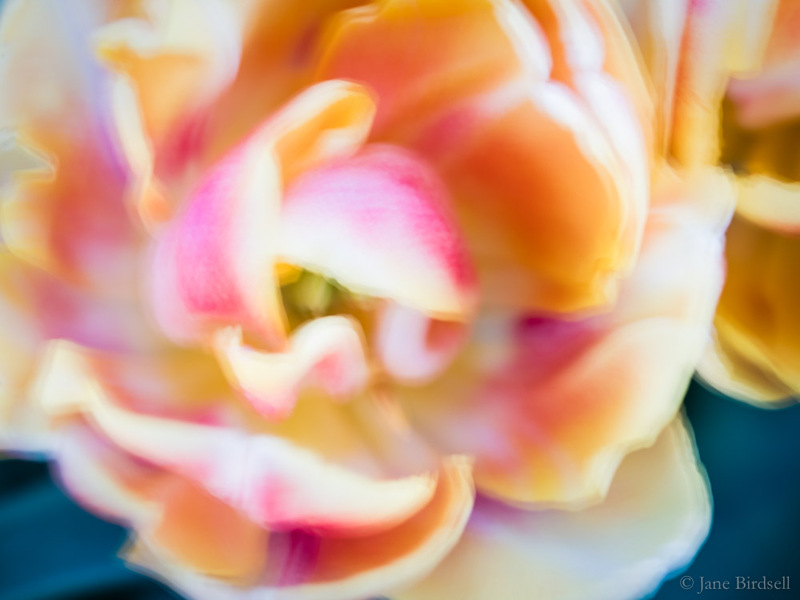 It was too bright for much photography, but I found some dying tulips in dappled shade, and had fun. Watching spring come slowly: primrose on a hedgebank on Candy Lane. Nearly forgot! This is one of my backlog of garden images, which I sorted over the Easter weekend. A fallen begonia flower.